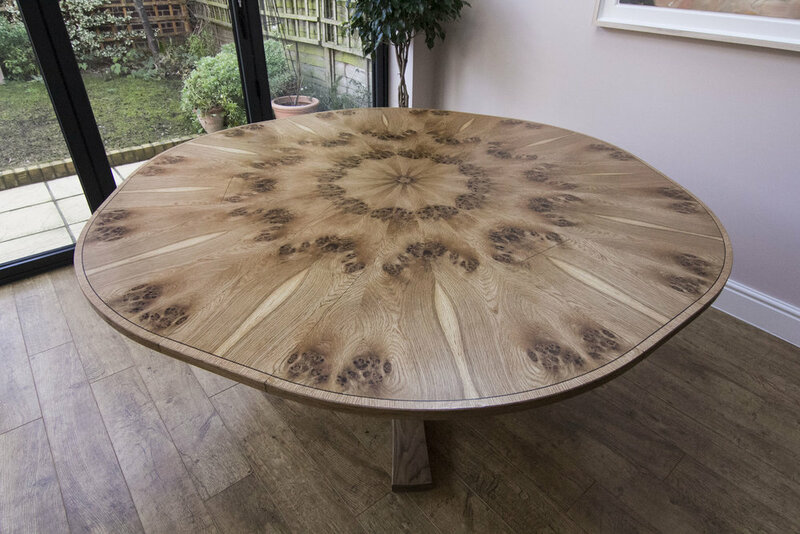 This table is the smallest size in George's range, expanding from 1.30m to 1.75m, and sitting up to 8 people. 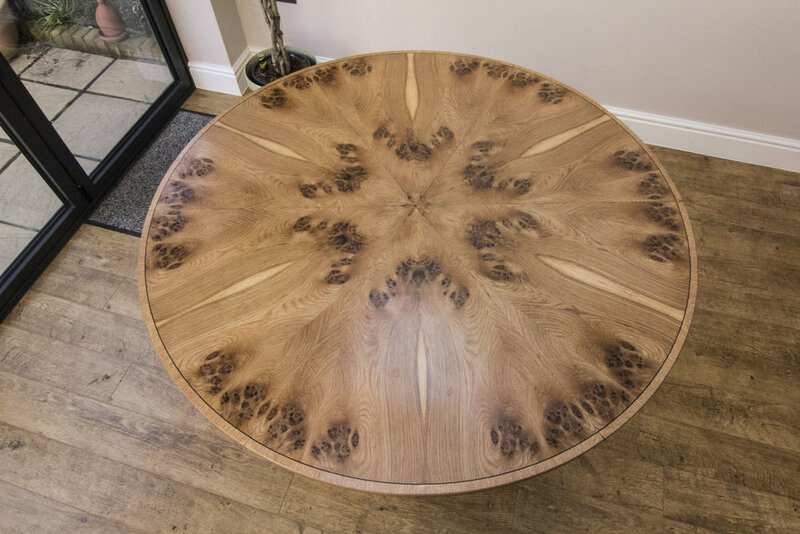 The top has been veneered pippy oak with the tripod base made from solid oak. 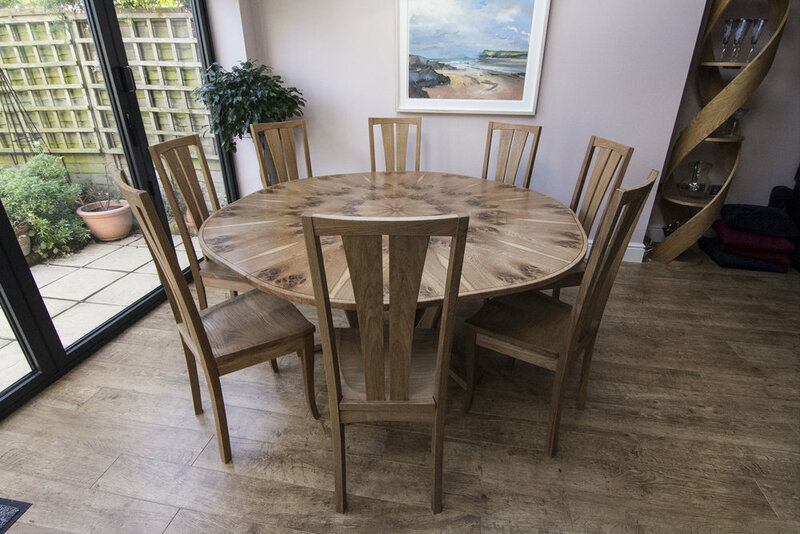 This table was made with a matching set of solid oak chairs, some photographs are below, with more information on the chairs section of the website.